There’s nothing more reassuring than a heating and cooling expert that can make your home or commercial space comfortable year round – it’s a great feeling! One Stop Cooling and Heating offers you 30 years of experience installing, maintaining and repairing AC and heating systems. 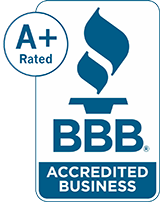 We’re the ‘go-to’ HVAC specialists in the Orlando area. Get in touch with us today and see why you only need One Stop for all your AC and heating needs.